Serving Hernhill and the surrounding area. We provide services and leisure amenities for ALL local residents. The Dawes Community Association was established over 97 years ago and is a registered charity, providing vital sports and social facilities for the people of the village of Hernhill and its surrounding area and is well supported by all sections of the community. Membership totals 250 family groups comprising 650+ individuals. Although the parish of Hernhill has only 900 people, the immediate area has a catchment of around 5,000. There is also a thriving primary school with over 200 pupils. The Association headquarters is on the playing field which comprises a cricket pitch, and both full-size and junior football pitches. Work on the new Dawes Community Association Centre and the fully equipped multi-purpose all-weather play area was completed in 1997. The new facilities are fully used with activities 7 days and week and on some days for over 14 hours a day. These notes give full details about the Association's work and the people who benefit from our services, recreational, educational and social. The Dawes Community Association - a registered charity and company limited by guarntee- was founded as the Dawes Institute in 1904 in memorial to Sir Edwyn Dawes by his son William Charles Dawes. Three rooms in the old Manor House by hernhill Church were given for use of the villagers, free of rent, rates and other expenses. In 1910 young people were allowed use of the premises. One of the main functions of the Association is to cater for young people. 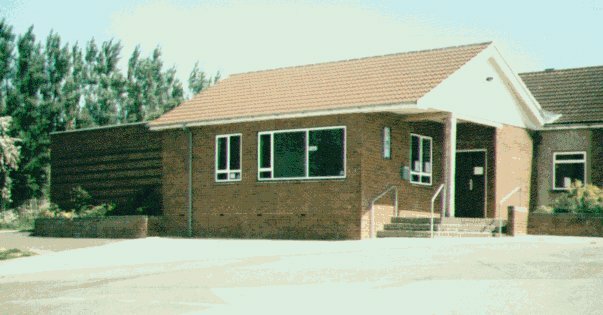 In 1986, thanks to support from the Dawes family and many others, the Association moved to its present home in the headquarters beside the Village Hall. This building was extended in 1997 with the help of a lottery grant. - Committed to People Our volunteers work in partnership and with other local organisations to provide everyone with the opportunity to extend and use their skills and talents. - Proactive We regularly consult local residents in order to provide the services they desire now and in future in a ‘fast-changing' world. - Reliable We aim to deliver our promises. We want our members and the community to know us for our reliability. - Incorporated as a Company limited by guarantee and Registered Charity and is governed by the provisions of the Charities Acts and Companies Acts. - The Trustees and Directors of the Association are members of the General Committee who meet regularly once each month to carry out the Association's affairs. - Each Section or Club is organised by either a committee or has a leader, and has at least two places on the General Committee. Thus the General Committee always reflects the opinions of the sections. - All positions are filled by officials who are elected annually. - All accounts are audited. - Known for our Integrity Our reputation is one of carrying out our responsibilities in a ‘professional' manner. - Long Established The Dawes Community Association was established in 1904 as ‘The Dawes Institute'. - The members of this Association have been able to enjoy unbroken access to the services and facilities provided throughout these years. 2004 witnesses our centenary! - Safeguarding the Past. The need for social interaction has not diminished over the years. Some activities have withstood time and are just as relevant now while new activities and services spring into life as residents require. We safeguard the best elements of the past while embracing the need to reflect modern society. - Outward Looking. We understand the need to plan for the future and to make sure our services reflect the world in which we live. - Inclusive As a registered charity we are an inclusive organisation -ALL are welcome to join. - Welcoming We offer a warm welcome. Our Centre is the ideal place where newcomers can meet others who share and enjoy similar interests while adding their own contribution to enhance the experience. Committed to Teamwork. Which reflects the volunteer nature of the association and it means, essentially, working together as partners. Hernhill is twinned with the French village of Vis-en-Artois.